Darkest Hour (2018). 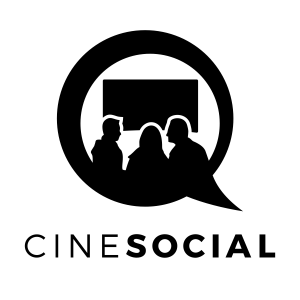 Film review of the WWII drama about Winston Churchill. 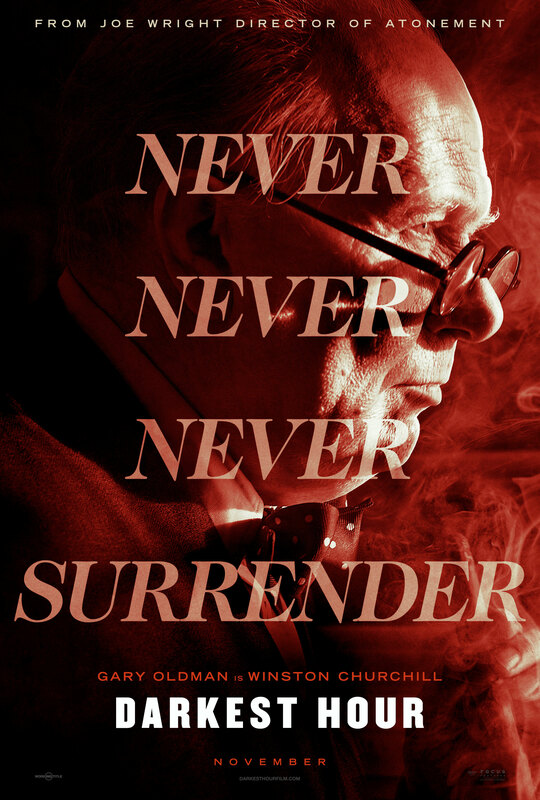 Film review, by Jason Day, of Darkest Hour, the drama about the early days of Winston Churchill tenure as Britain’s WWII Prime Minister. Starring Gary Oldman and Kristin Scott-Thomas. Facing a vote of no confidence due to his government’s ineffective policy of appeasement toward Nazi Germany, Neville Chamberlain (Ronald Pickup) reluctantly nominates Winston Churchill (Gary Oldman) as the next Prime Minister. Despite still being out of favour for his handling of the Gallipoli disaster during the First World War, the Conservative party agrees and Churchill accepts. He faces difficulties from the start as the government pursue overtures from the fascist Italian government who will broker a peace deal between Britain and Germany. It could leave Britain vulnerable or finish the war and save lives. Churchill, witnessed by his new, timid secretary (Lily James) agonises over what to do. There is an episode of the hit 1990’s comedy Friends (I’m showing my age when I talk about this), a TV series renowned for casting big stars in cameos, in which dopey actor Joey (Matt LeBlanc) rehearses for a WWII film with a very serious Shakespearean actor, played by Gary Oldman. Oldman practices his lines and uses a novel method to enunciate, meaning he spits all over an understandably astonished and disgusted Joey. Oldman’s appearance, sending himself and his reputation up, is one of the less well remembered delights of that programme. Unlike his performance as Winston Churchill here, as anyone who watches the film will be unlikely to forget ever seeing (or hearing) him. This is not to denigrate Oldman’s achievements in this production. Despite the shouting and shameful grandstanding that punctuate the film he turns out an amusing, fiery and (when he’s pushed!) subtle, touching and even gentle performance. His scenes with Kristin Scott-Thomas as his wife Clementine show a wonderful, playful domesticity and his reliance on her calm and influential counsel. There’s also no denying Oldman’s splendid power during the final address to parliament. I guess this is the up and down Churchill most of us never saw, the one behind closed doors, when the cameras and microphones were turned off and not recording the eloquent, passionate rhetoric of history text books Churchill and documentaries on the Yesterday channel. It just sounds so incredibly OTT on the screen, as if the actor has been given too much free reign by his director, and is trying to hard for an Oscar win (Oldman is up for Best Actor there and the forthcoming BAFTAs). There is a crazed feel of over-acting right from the start, although not from Oldman as he isn’t ‘in the house’ during the opening scenes as David Scofield as Clement Atlee goes hell for leather at a resigned Chamberlain. Jesus weeps, Speaker of the House, ‘Order! Order! Order!’ John Bercow would never have any of this! Few of the starry and talented cast manage to get much of a look-in, but Dillane as Viscount Halifax glowers with reptilian subterfuge, continuing peace talks behind Winnie’s back. We see Churchill for the first time in bed, in complete darkness, visible by a sudden, brief orange explosion as he lights his cigar, the same colour as the night-time bombing raids we see throughout the film. Director Joe Wright (Atonement) is good at honing in on these telling, tiny pieces of action to relate to the bigger action and sentiments. His loving wife Clemmie reveals in front of their children that she had to accept Churchill’s marriage proposal as she’d turned others down and didn’t want to get a reputation for herself. Churchill was, quite clearly, less than second choice for PM. When Churchill meets with King George VI (Ben Mendelsohn) to form a government, the monarch wipes his hand on the back of his jacket after Churchill kisses it. Does Darkest Hour itself hint at bigger things going in the world outside the cinema? I kept seeing in Oldman’s Churchill, a Conservative battling for acceptance in his own party and taking the country into unknown and economically and socially unprecedented times, our own Theresa May as Britain hurtles towards its Brexit. Although, to be fair, Churchill would never have worn leopard print kitten heels. See the trailer on the official website. Producers: Tim Bevan, Lisa Bruce, Eric Fellner, Anthony McCarten, Douglas Urbanski. Gary Oldman, Kristin Scott-Thomas, Lily James, Ben Mendelsohn, Ronald Pickup, Stephen Dillane, Nicholas Jones, Samuel West, David Schofield, Richard Lumsden. The Commuter (2018). Film review of the action thriller starring Liam Neeson and Vera Farmiga.